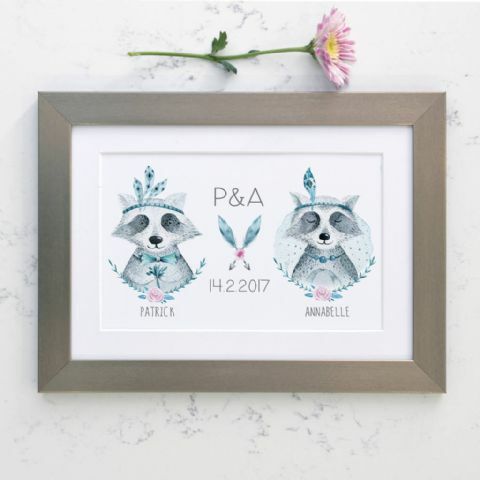 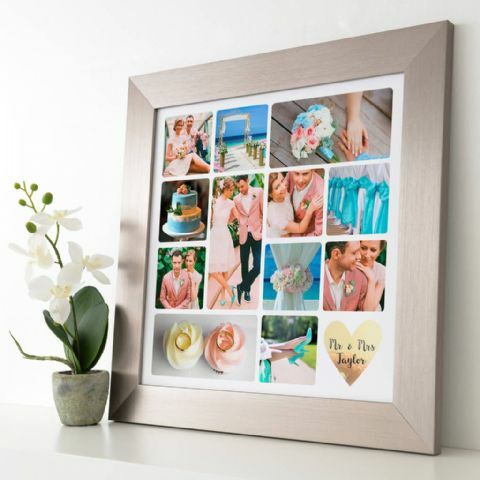 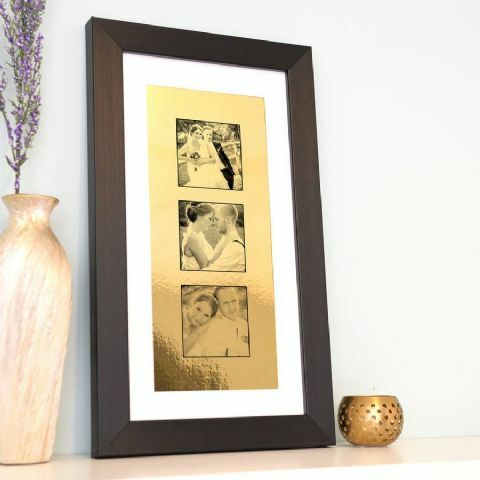 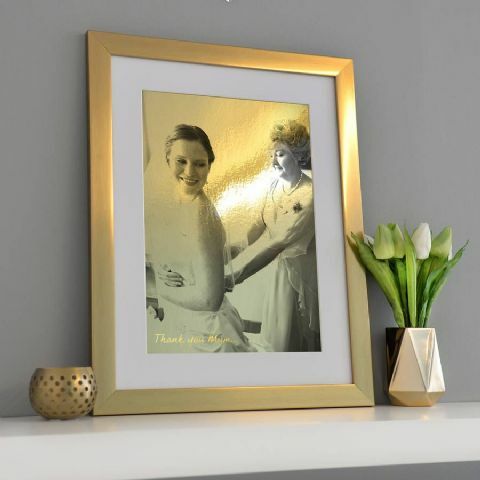 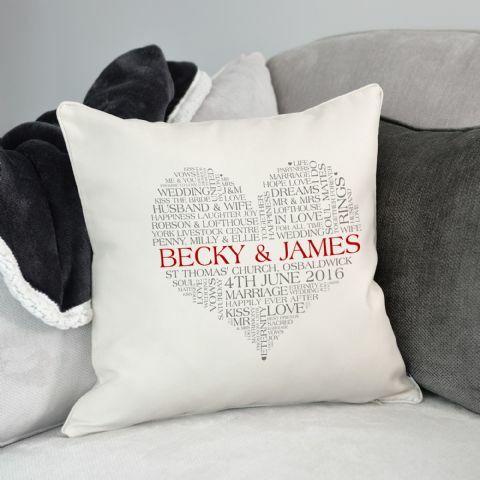 Make sure a special couple is always reminded of their big day with a personalised gift so special, they will never forget. 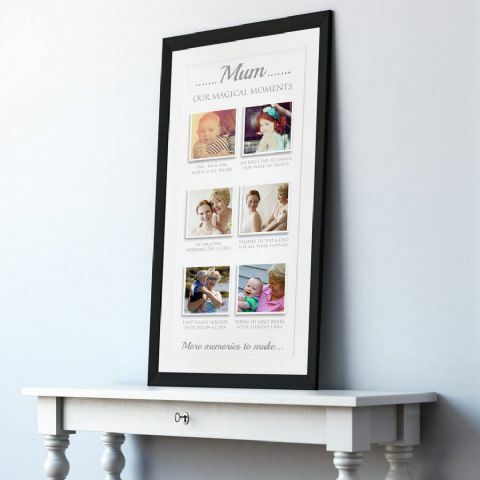 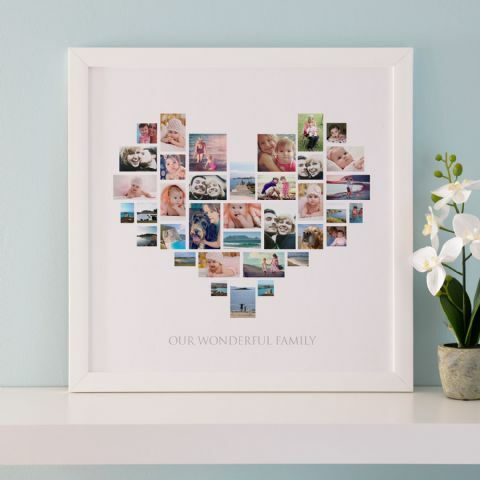 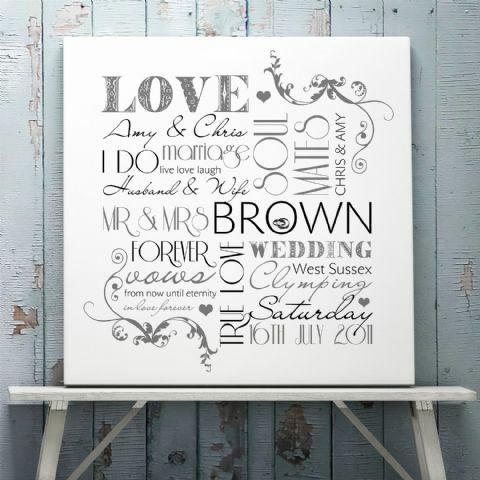 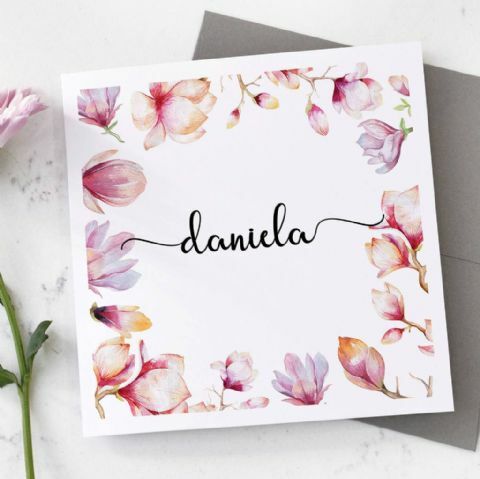 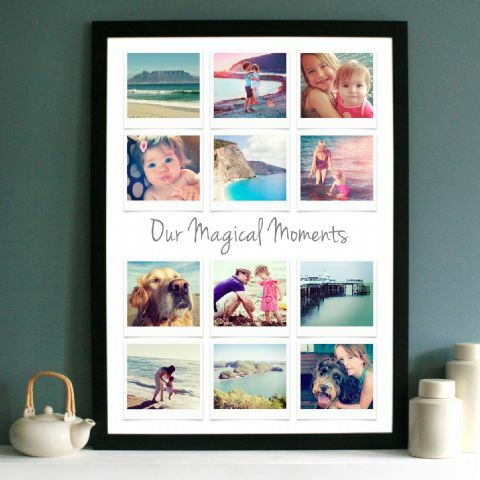 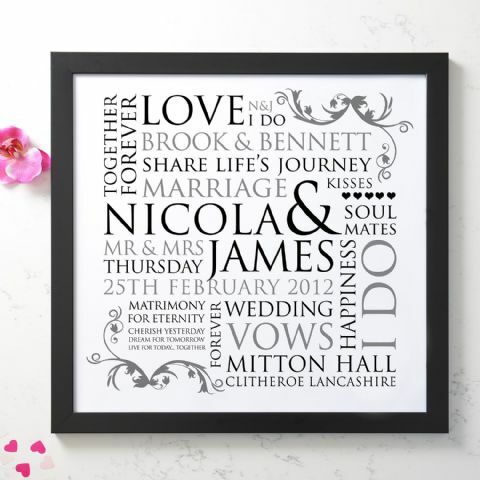 Find beautiful designs including collages and typography word arts, all personalised of course. 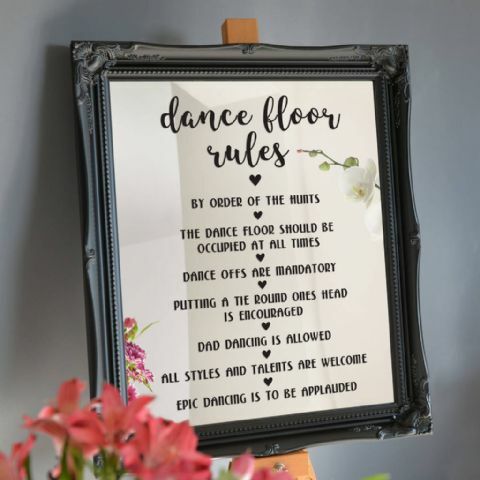 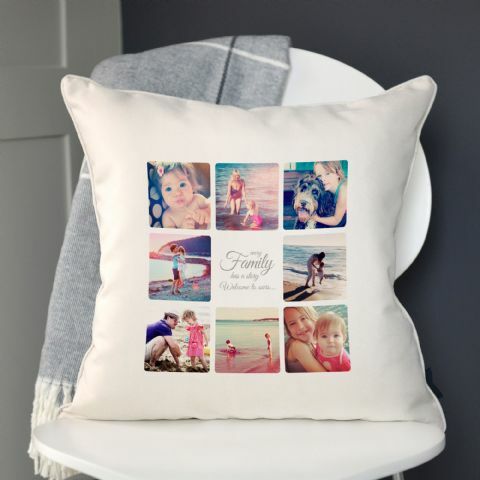 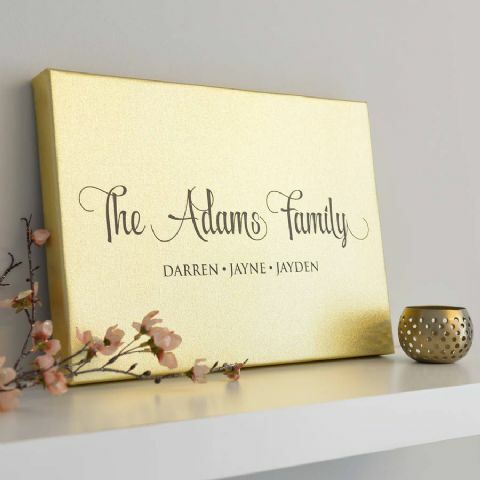 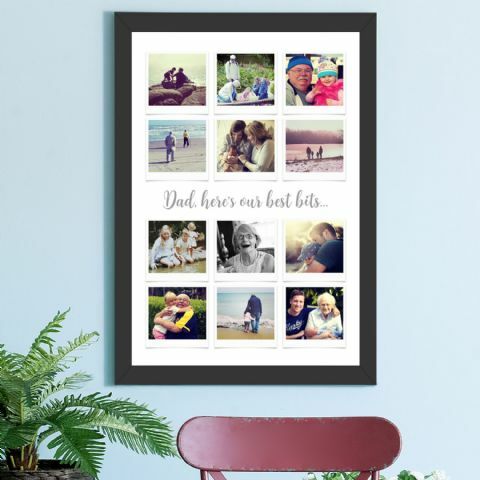 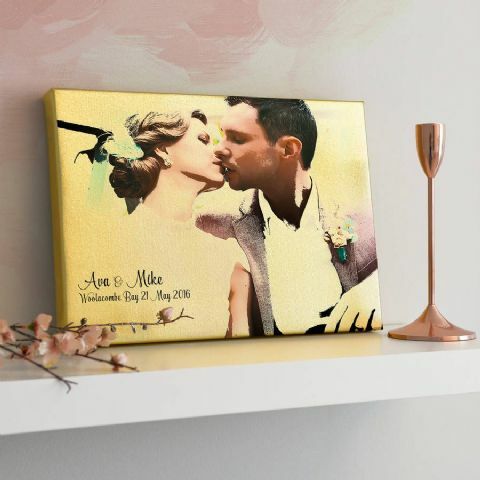 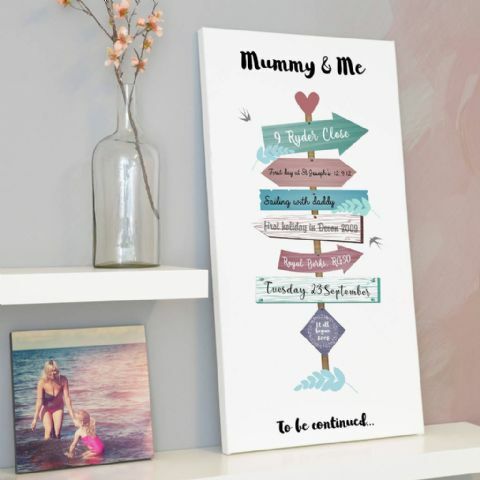 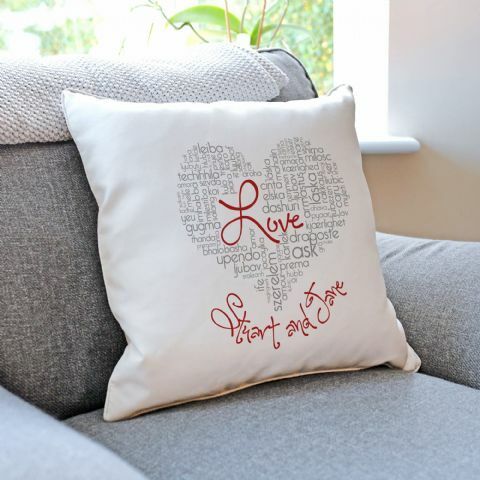 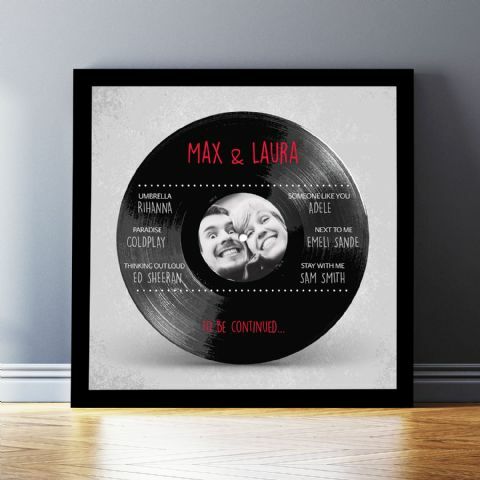 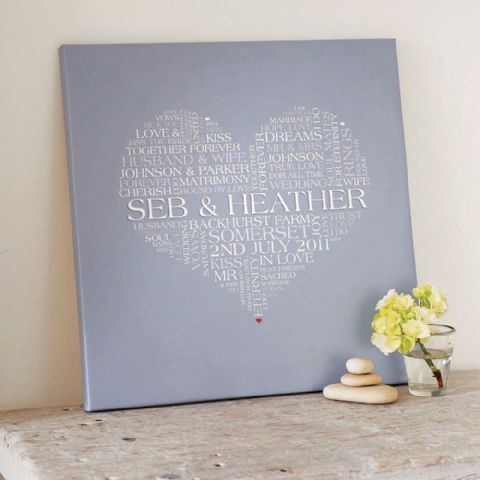 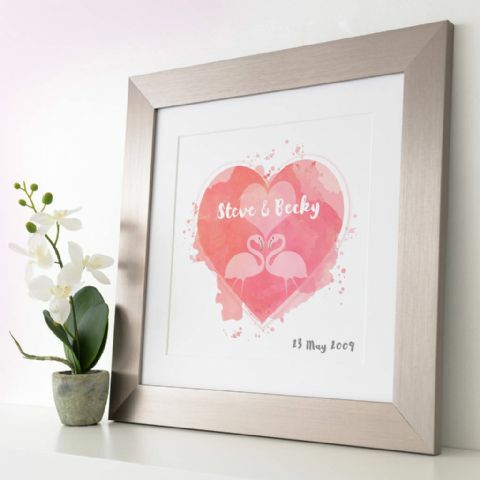 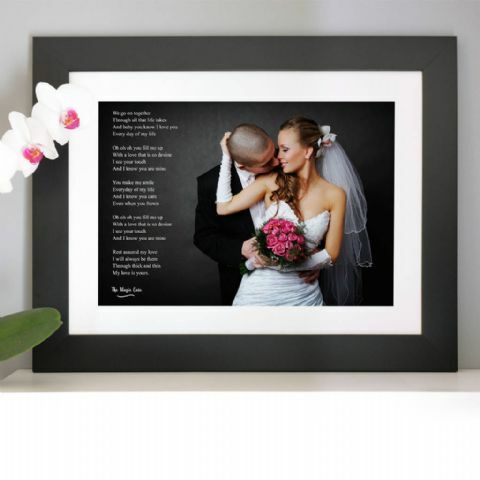 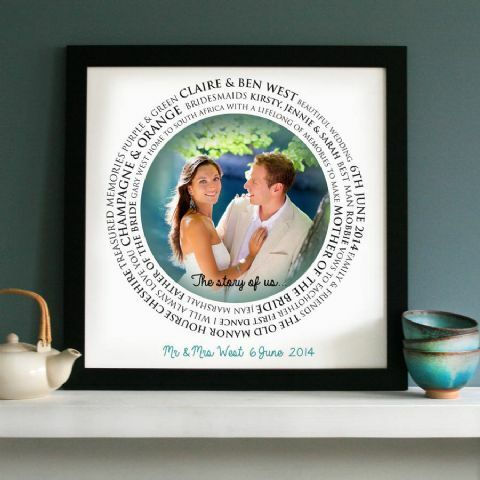 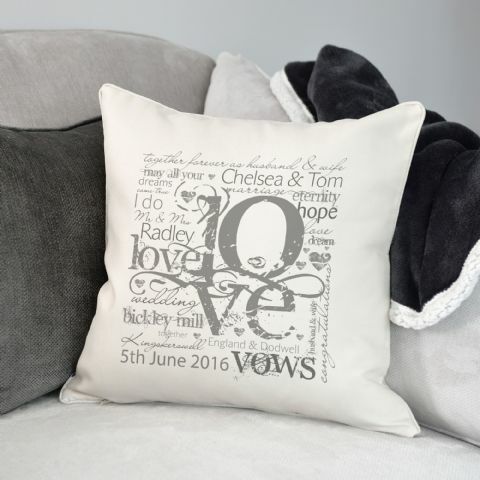 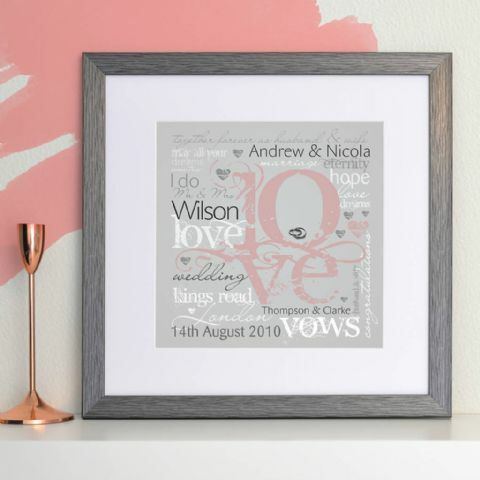 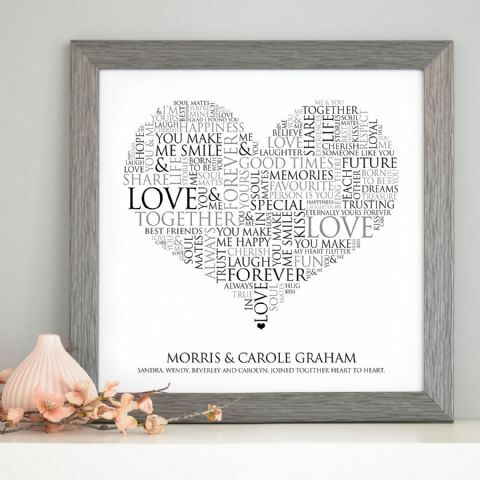 Find beautiful designs such as heart photo collages, personalised love canvases, personalised framed word art, song lyric art where you can add the lyrics of the first dance, personalised wedding cushions and much more. 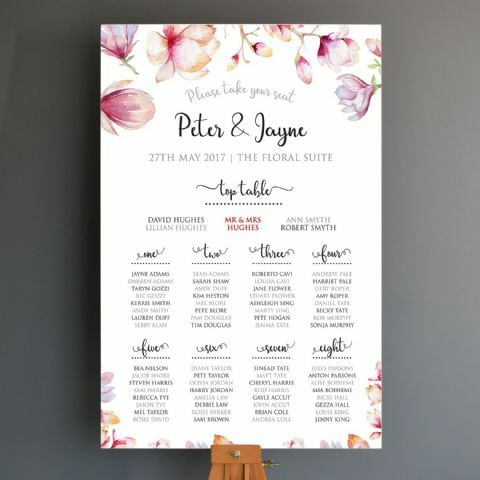 All of the designs are completely personalised so will always be completely unique to them. 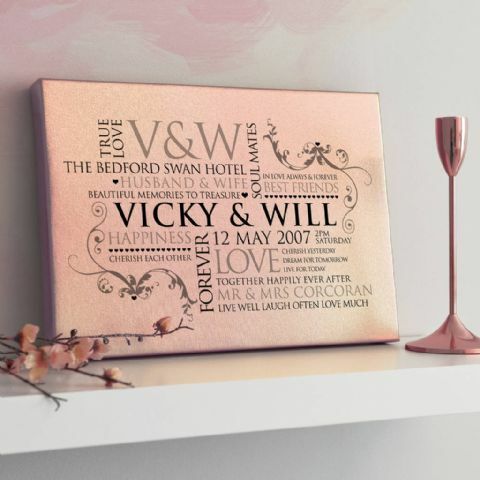 Find some of our greatest and most popular designs such as the Personalised Couple’s Word Art, Personalised Heart Photo Collage, Personalised Heart Word Art Cushion, Personalised Heart Word Art Print, Personalised Love Typographic Cushion, Personalised Metallic Rose Gold Couple’s Word Art, Personalised Mr & Mrs Cushion, Personalised Vinyl Record Favourite Songs Print, Personalised Wedding or Engagement LOVE Art, which you can also find as a personalised cushion, Personalised Wedding Photo Collage and many more, the list is endless! 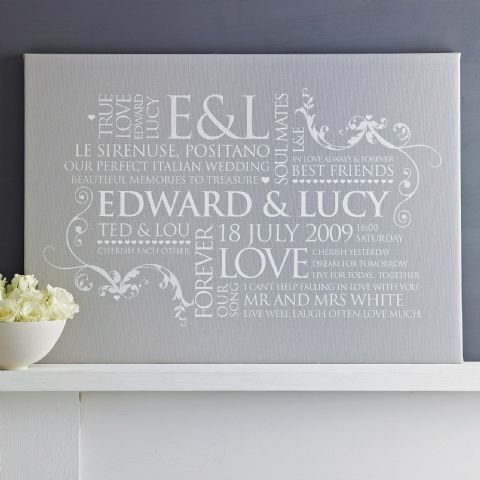 Do let us know if you have any questions about planning your personalised wedding gift and we would be happy to help! 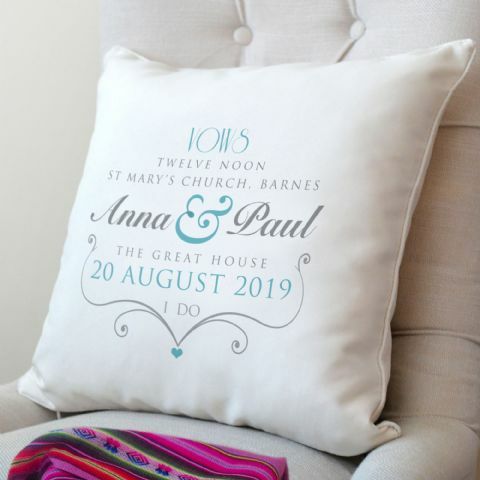 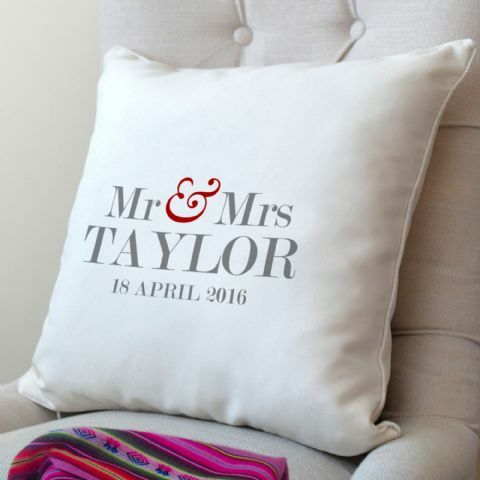 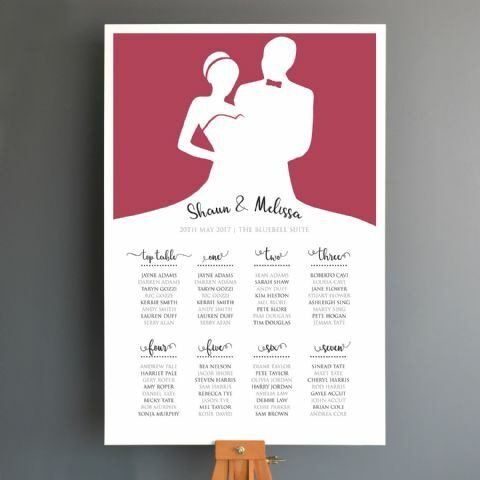 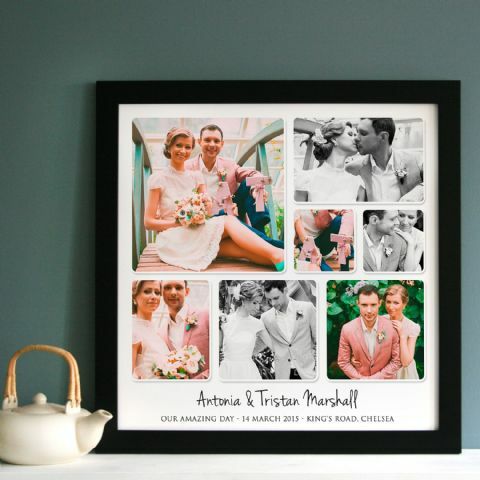 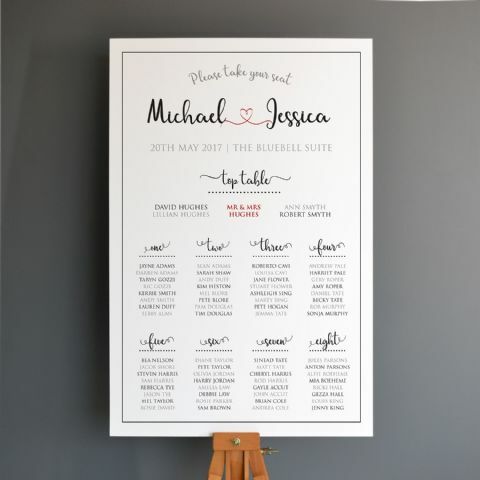 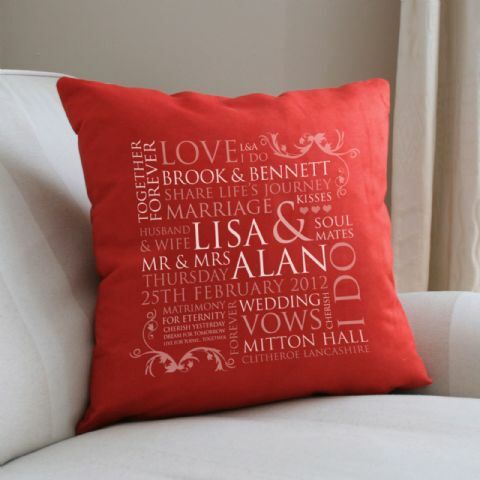 You can also find designs that could feature on the day such as Wedding Seating Plans too!